A variety of maps of the Black Hills and surrounding region. 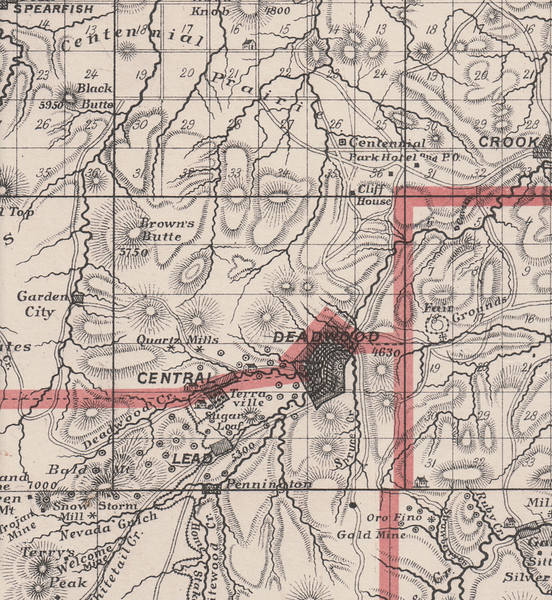 From the Andrea's Historical Atlas of Dakota published in 1884; this is a closer look at the Lead, Central, and Deadwood area. Thanks to the Case Library at Black Hills State University.